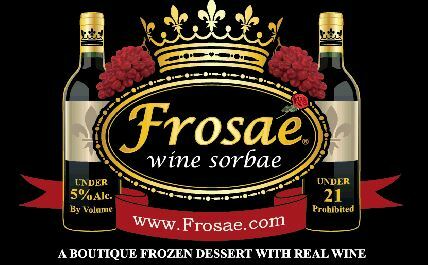 Frosae Wine Sorbae is a boutique frozen desert made with real wine! 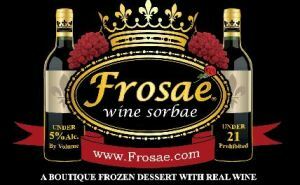 Frosae is a local Long Island company using local wine from Long Island’s North Fork vineyards. This frozen desert, for adults only, contains 5% alcohol and is low in calories, has zero trans fats, is gluten free and is for those who are lactose intolerant. Current and most in demand flavors are Merlot, Riesling, and Chocolate Merlot. Stop by one of the 10 local King Kullen stores and pick up Frosae today! Can’t make it to the store? Good news…Frosae will deliver to your door within 24-48 hours. By logging on to our website you can easily order Frosae from the comfort of your home. Shipping is free, and you get to keep the reusable cooler! Orders can be placed on our website at www.frosae.com or you can call and speak to a Frosae representative at 631-803-2776 to place your order.